Perfect for that quiet,"away from it all" holiday for 2, or, that long weekend you've been looking for. 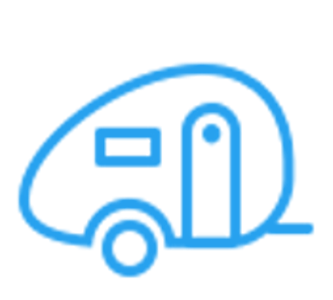 Thinking of buying a caravan for the first time?, then "try before you buy", and we can set it up on a nearby campsite, of your choice, for you. 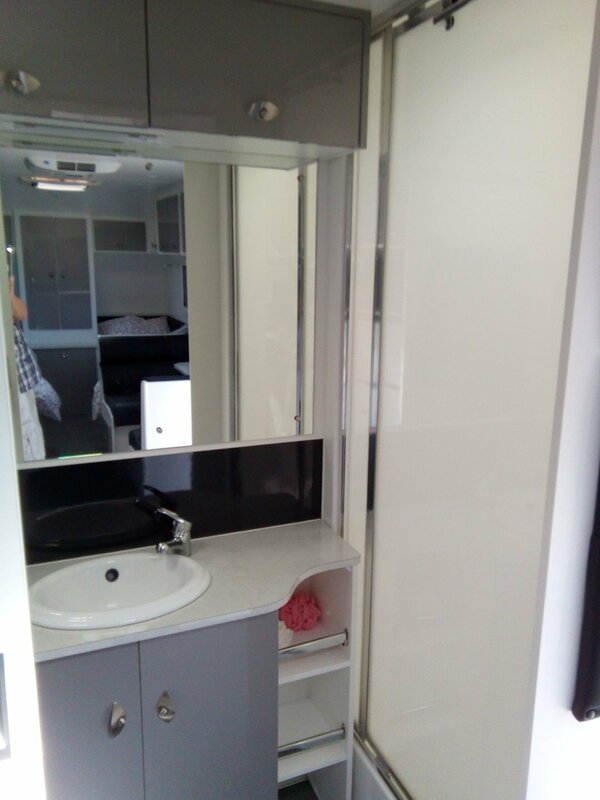 This luxury, fully insulated, 1 year old, en-suite caravan is ideal for that peaceful, relaxation time away from the hustle and bustle of every day living. Please, fill out a Booking request, no charge at this point, and we'll get back to you ASAP. Must use the supplied Weight Distribution Hitch, (anti sway bars). Caravan not suitable for, and must not be used for, off road travel. Correct towing mirrors must be used. An appropriate Weight Distribution Hitch(sway bars) must be used. 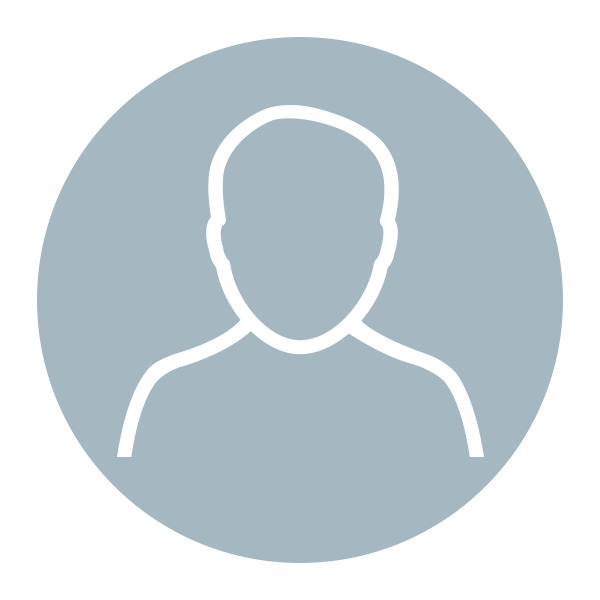 This is included in the hire. 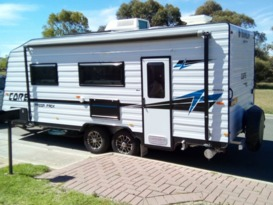 Has 2x95 litre water tanks. Water hose with filter. Kitchen tap has second water filter for drinking. Gas oven and gas/electric cooktop. Microwave oven. Small BBQ. Gas/Electric Hot water service. 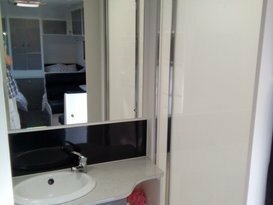 Full en-suite facility. Flush toilet. 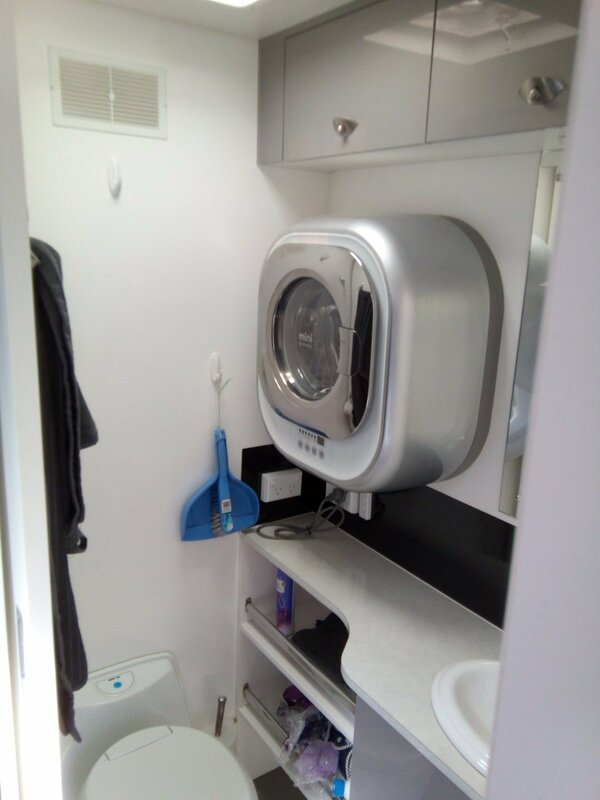 Front loader washing machine. Waste water hose. Power cable. Automatic Satellite Tv. Free to air Tv. Led lighting with bedside reading lamps. Extra house battery for extended "off power" camping. Generator hire on request for "off power" camping. Bed linen hire on request. GVM 2350kg Tare 2087kg. Requires Flat 12pin Plug and 30amp anderson plug for 'fridge. All good. A modern van, well equiped and Graham was very helpful in explaining how everything worked. 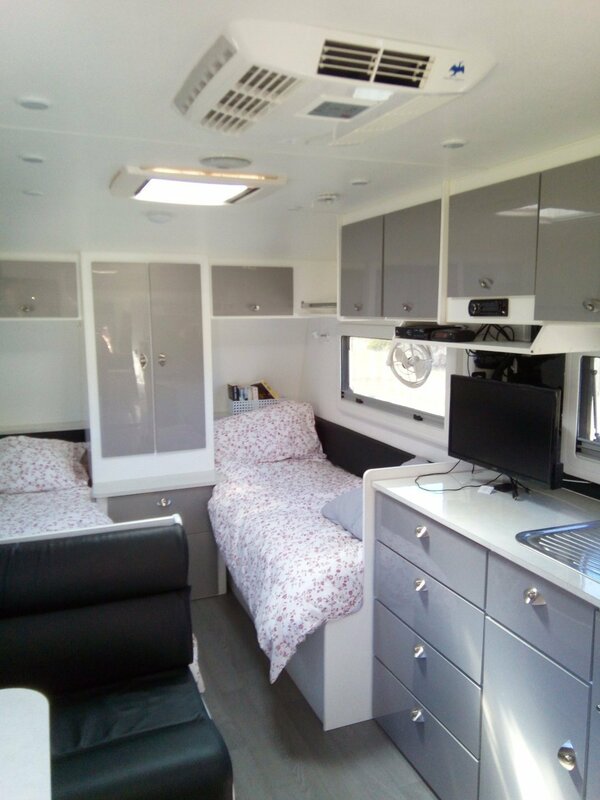 My husband and I are new to caravan travel and thinking seriously about purchasing a van. However, we're not sure which type. 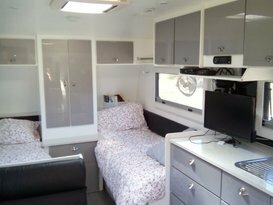 So Rest-A-While was the perfect choice for a short trip over 5 days to try out the nomad lifestyle. Graham was an absolute treasure! He was very patient with us newbies and happy to teach us everything we needed to know to help us on our way. His instructions were excellent and he was just a phone call away if we needed some more assistance. 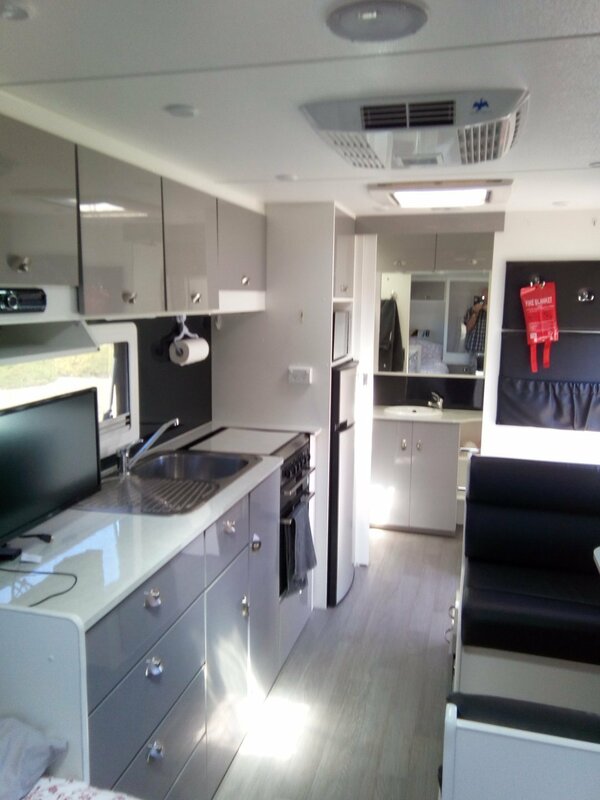 The van looks brand new, is very well appointed and has an excellent floor plan. Everything works perfectly and is easy to tow. The air conditioner was particularly appreciated on a 37 degree day. We would recommend Graham's Rest-A-While to anyone who wanted a hassle free and comfortable holiday. It was all perfect. So much more than expected. Very clear instructions. In so good congratulations youd think its new! Everything works so well! Loved the air condition especially. Graham was very friendly and respectful. Couldnt have had any better owner as well as caravan facilities. Thank you so much Graham! 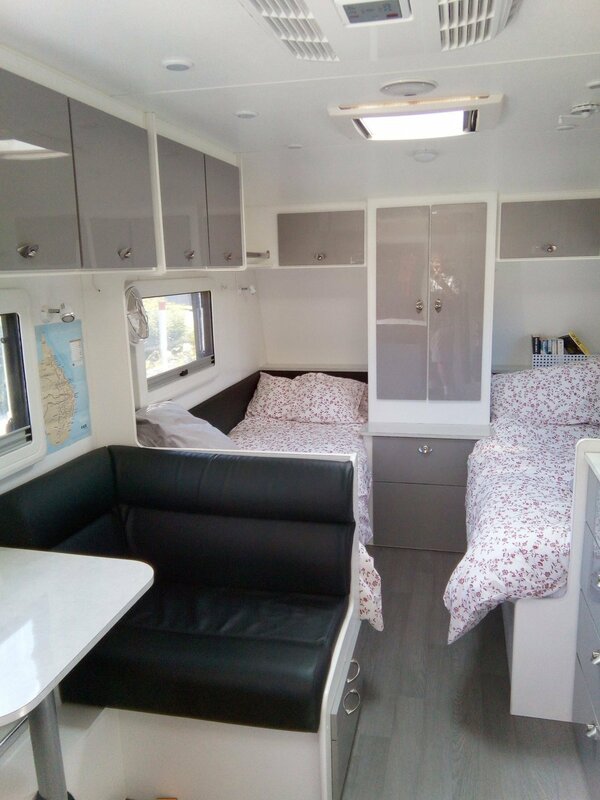 Rest--A-While caravan is the perfect getaway for 2x and a small, house trained fur baby. We had a fabulous mini getaway, the van is 'spot on' just as amazing as it looks in the pics and it's description. 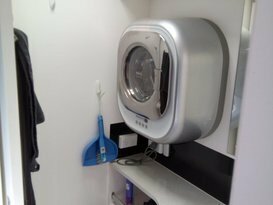 It certainly has eveything you need and was very clean and tidu. Graham is a true gentlemen and a pleasure to deal with. Very accommodating and more than happy to show us the ropes re: set-up/pack-up. 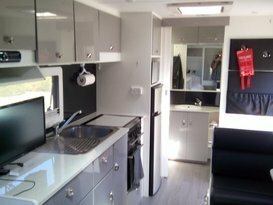 Thanks again Graham, until our next caravaning hire & adventure. Happy New Year! Would highly recommend contacting Graham if you are looking to hire a van. 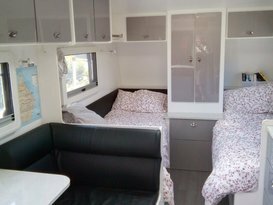 We had everything we needed in the van - it was cosy and comfortable. I am retired from full time work, and love to travel in Australia. Sold up the house and we became Grey Nomads for a year. 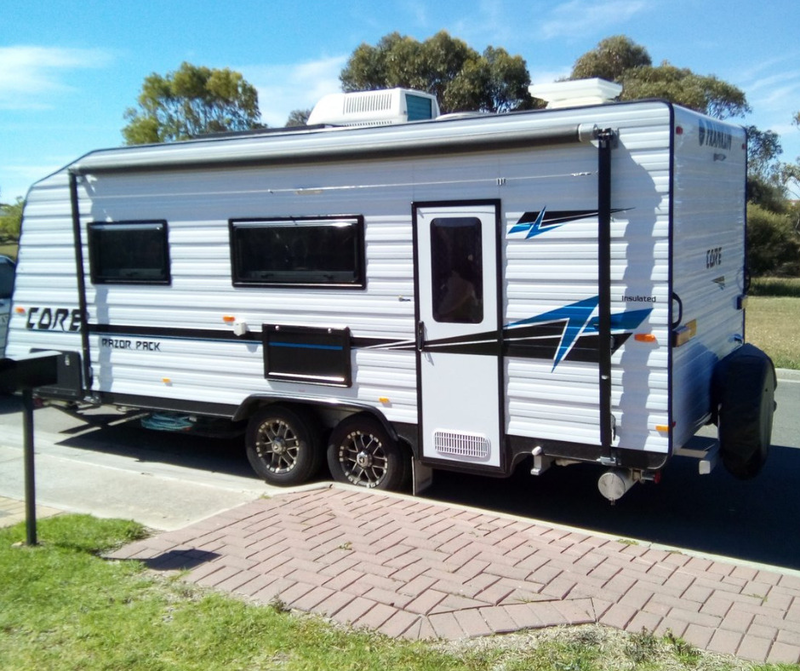 We purchased the caravan with a set up for Freedom Camping if we want to be away from the commercial sites.